PATERSON, NJ - 93 days after his death, the family, friends, and, in many ways the city he called home, of Jameek Lowery still don’t have the answers as to what took the young man’s life. In the early hours of Saturday, January 5, a bizarre series of events started that would culminate in the death of a 27-year-old city man; lead to daily protests by activists that have included tense standoffs between them and police, as well as at least two arrests; and once again distract attention away from the much sought after renaissance of Paterson and create an appearance of it being a city in disarray. On Tuesday, Lowery’s mother and sister, as well as several other local activists, and concerned mothers, appeared before the Paterson City Council to once again remind local lawmakers that they will not allow the father of three’s passing to be forgotten. 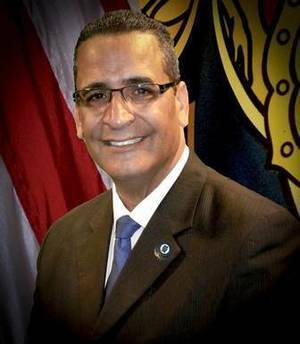 “To be without information for this long is unconscionable,” Councilman Bill McKoy stated in requesting that Corporation Counsel Khalifah Shabazz prepare a letter to Passaic County Camelia M. Valdes asking for, at the least, a case status update. The letter, McKoy suggested, will have space for all eight of his colleagues to co-sign.